Trainer Nicky Henderson today described his star novice chasers Long Run and Punchestowns as the best horses he has handled in a training career spanning nearly 32 years. The duo are set to lock horns in the RSA Chase at Cheltenham on Wednesday, March 17, with stable jockey Barry Geraghty partnering Punchestowns and amateur Sam Waley-Cohen due to ride Long Run, who is owned by the rider’s father Robert. Henderson was speaking at a Cheltenham Racecourse media day at his Seven Barrows Stable in Lambourn, where he also elaborated on plans for many of his other Festival-bound stars. Long Run won the three-mile Feltham Novices’ Chase at Kempton on his British debut on Boxing Day and followed up with a runaway victory over two miles at Warwick on February 13. “Long Run came out of his last run well,” added Henderson. “He is quite freakish in that he genuinely stays three miles but as we saw at Warwick he also has remarkable pace as well that he showed over two miles. 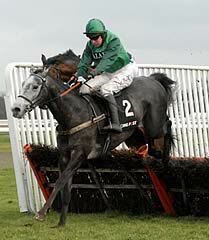 It gives us more opportunities for the future although we’ll obviously find out an awful lot more at Cheltenham. 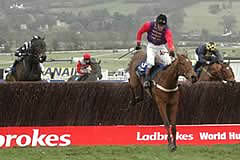 “He is in The Irish Independent Arkle Chase but that would be his second option at the moment. If the ground was bottomless at Cheltenham we might be tempted to come back to two miles for that because three miles on heavy ground in the RSA Chase would be an absolute slog. Henderson also confirmed that Barry Geraghty looks likely to partner last year’s winner Punjabi in the Smurfit Kappa Champion Hurdle rather than stablemate Zaynar, winner of last season’s JCB Triumph Hurdle. "I think that Barry will stick with Punjabi through loyalty but nothing is set in stone and AP (McCoy) will ride whatever Barry doesn't in the Champion," said Henderson. "Zaynar stays very well. He won the Triumph last year but the Champion is run on an easier course earlier in the week and I think that will be against him. 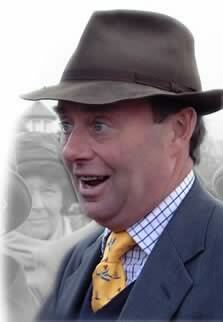 “He is surprisingly stuffy and I knew he’d need the run at Kelso and we’d have been stuck if he hadn’t gone there. “I was dead chuffed with Punjabi at Kempton on Saturday, I know he had to win as he did but I just liked the way he did it. He gets forgotten but he’s done very little wrong and he’s won an Irish Champion as well. The Queen’s Barbers Shop is on course for the Ryanair Chase on Thursday, March 18, having been off the course since Boxing Day. Riverside Theatre, owned by actor Jimmy Nesbitt, and Mad Max are both set to line up in The Irish Independent Arkle Chase, while Oscar Whisky and General Miller will both line up in the opening Spinal Research Supreme Novices’ Hurdle, for which Bellvano is a possible. Sentry Duty heads to the Ladbrokes World Hurdle while Finians Rainbow and possibly Quantitativeeasing could run in the Neptune Investments Novices Hurdle. Soldatino, who made an impressive British debut when winning at Kempton on Saturday, is likely to take his chance in the JCB Triumph Hurdle. “He was relaxed, jumped well, didn’t pull and then picked up and took off in the straight. He can only come on a ton for that race and we’ve got to be tempted to give Cheltenham a go,” added Henderson.